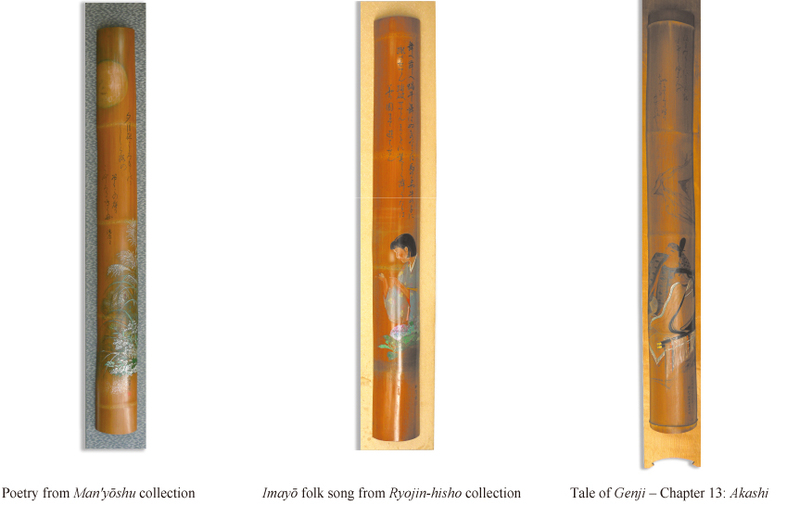 Shuzenji-bori, the art of engraving on Mōsō-chiku bamboos, was created in the early 20th century by Master Shōsui Kagiwada under the patronage of Shuzenji Temple. 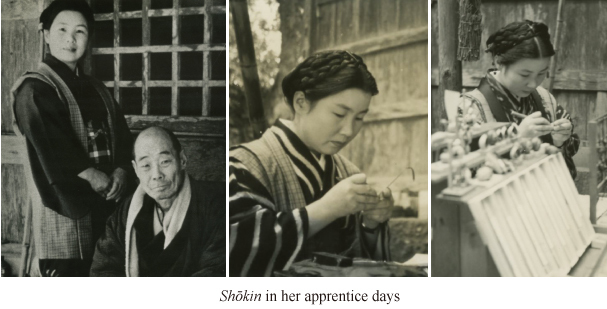 The Master’s daughter, Shōkin began her apprenticeship to the art of Shuzenji-bori in her late teens, in order to inherit her father’s form. Ever since, she had dedicated her life to pursuing the one and only form of this subtle art. In addition to the advanced study of engraving, her intense training in calligraphy, Japanese paintings, Japanese tea ceremony, Ikebana flower arrangements and even Koto (Japanese harp) lessons allowed for deep self-reflection and enhancement and inspired her own unique artistic style. Shōkin did not set any boundaries in deliberating her creative motif for engraving. It extended immensely from Buddhist sutra to well-chanted poems, lyrics or tales, often accompanied with relevant paintings. Another recognized piece of her artwork was Hannya Shingyo sutra of 276 letters, finely engraved on Sotetsu (Japanese fern palm) seed. 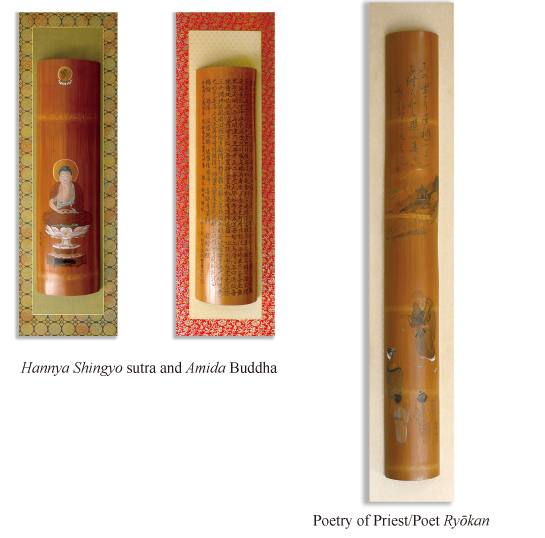 Shōkin also expressed her selfless sentiment for the charitable functions in Buddhism beliefs, and donated her Shikishi works, inscribed with poetry or quotable words, for about twenty years. Copyright 2013 Shuzenjibori. All rights reserved.